While traditional luxury brands are reviewing their brick-and-mortar footprint, major digital luxury eCommerce companies are moving into the physical shopping experience in 2018. The rise of eCommerce does not foretell the end of the luxury physical store. Brick-and-mortar retail is rather shifting to cater to the evolving preferences, expectations, and shopping behaviours of the modern affluent customers. Successful luxury e-tailers are reimagining the purposes of physical stores by taking cues from digital shopping experiences. 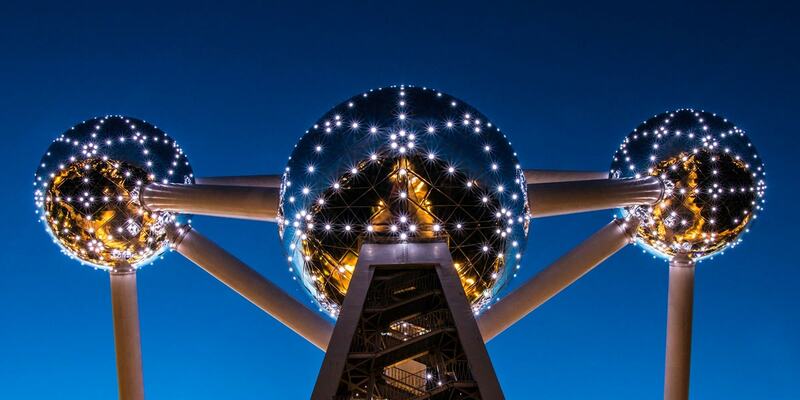 New opportunities to bridge the gap between digital and physical retailing are emerging. Traditional luxury retail brands and digital-first retailers are converging towards an omnichannel strategy, offering a seamless click and mortar shopping experience. With the accelerated growth of online luxury sales, retail industry observers are wondering whether the future of shopping is exclusively online. A closer look at the luxury retail industry reveals that while several traditional luxury brands are shuttering brick-and-mortar boutiques and shrinking their stores network, some of the most successful digital-born eCommerce — from Warby Parker to Bonobos, Glossier and even giant online retailer Amazon — are opening not only temporary pop-ups but also permanent showrooms and physical stores in 2018. This may seem counterintuitive at first. Why would digital luxury eCommerce brands invest in physical stores when online is driving most of their growth and profitability? How could such digital pure-play brands benefit from an offline presence? Are there learnings from their online successes that could be directly transposed to an offline experience? 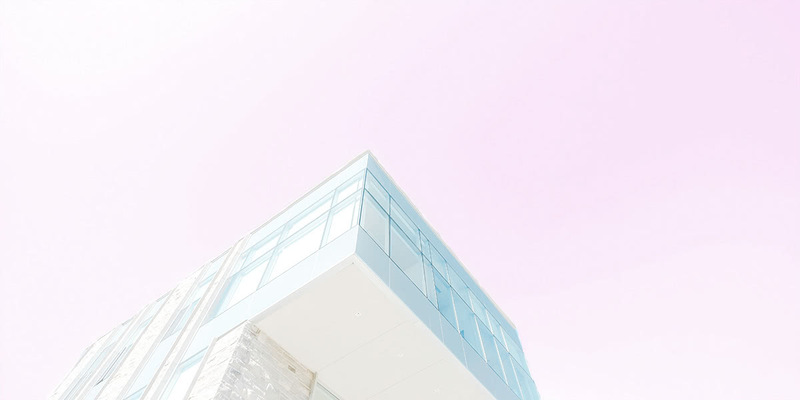 As part of Luxe Digital’s series on The Future of Luxury Online Retail, this article explores the rationale behind a new omnichannel approach to high-end retail with a focus on digital-first brands that have successfully added physical locations to their business strategy. The store becomes the epicenter of the brand story-living. Why online luxury retailers are opening physical retail stores in 2018? While online shopping offers convenience, the desire to touch, feel and experience a high-end product before a purchase remains strong. For digital-first brands, opening brick-and-mortar stores is more than simply about having a physical presence, it is the opportunity to offer a compelling high-end experience that complements the digital one. The concept stores become experiential spaces where customers can be immersed in the brand’s culture. They are places for exploration that create an immersive, holistic, and unique experience for consumers; one that is not (yet) possible to achieve purely online. Beyond mere consumption, we’ll go to these spaces for entertainment, education, connection and community. This is not to suggest that there will be no products for sale in these physical spaces, only that the emphasis will not be sales but rather on catalyzing a relationship with the consumer that transcends the store. Digital has disrupted how we shop. But while eCommerce sites offer convenience and comfort, physical stores offer a unique advantage that is — at present — missing online: human-led personal service. Online shopping remains highly transactional. Brick-and-mortar stores drive higher conversion rates and increase average purchase values by leveraging the expertise of the store staff who are equipped to offer personal guidance and reassurance. By interacting directly with their affluent consumers, high-end retail staffs are able to gather a level of understanding of their clients’ needs that is critical to improve their recommendations and drive sales. Retailers can indeed learn a lot simply by observing how their customers shop and interact with the space and products. They can listen to the questions that shoppers ask and upsell more easily. For digital-first players, having a physical presence can allow them to own the entire customer journey, and be present in all the micro-moments that matter. According to L2’s Intelligence Report: Death of Pureplay Retail, “physical stores boost e-tailer’s online profits”. Physical stores also benefit retail brands when it comes to web search. L2’s report reveals that e-tailers with a physical location enjoy greater organic traffic for their eCommerce site (Google offers a prime location on the search results page for businesses with a physical presence) and lower customer acquisition costs via paid search and email. Plus, the multiplication of brick-and-mortar locations usually means an increase of brand mentions and searches online, which is often accompanied by increased financial returns, making physical stores a good investment both in terms of popularity and profitability. Even though digital retail is becoming commonplace and more people are feeling increasingly confident spending money online, there is still a sense of legitimacy from having a physical store. For digital-first brands, physical stores can boost brand trust signals and be used as a valuable marketing resource for building brand awareness and building a (local) community. Digital-first players tend to have a much better handle on customer data (from web analytics like tracking of user habits, click patterns, search queries, …) than more traditional retailers. Learning from their online store experiences and tapping e-commerce data, digital-first brands are well equipped to customize every aspect of the brick-and-mortar space and to design innovative physical stores in alignment with their customers’ needs. For Moda Operandi and other high-end online retailers, the answer is in data. The luxury website is able to identify its best customers, who spend an average of $1,200 per order with an average of seven to eight orders per year, to extend the online experience offline. With eCommerce data, luxury e-tailers are able to make informed decisions — from where to open their physical stores, to curating the content of their stores for individual shoppers. In its ‘dedicated private showroom’, luxury online fashion retail Moda Operandi curates its products according to the data the company gleans from online customer behaviours (what they bought, browsed, bookmarked,…). 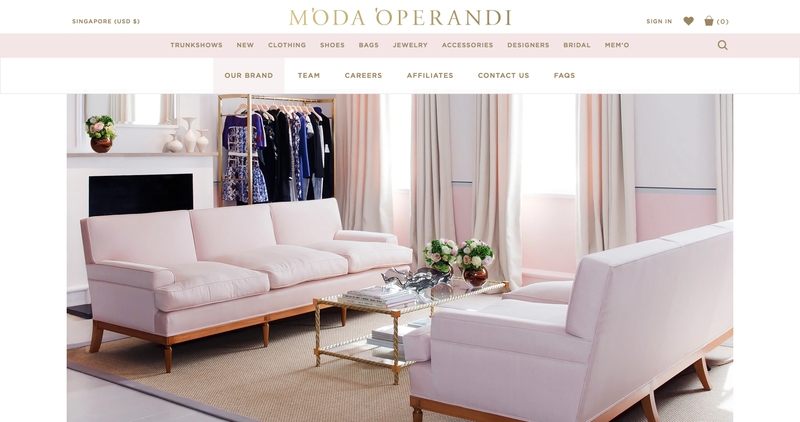 By leveraging data, Moda Operandi is able to offer each of its customers a highly personalised store experience with a selection of goods that are customized to their sizes, tastes and shopping habits. Amazon follows a similar strategy by leveraging its data-driven findings from its online shop to inform the presentation of its products offline. From displaying reader recommendations to organising its product categories according to products that are commonly purchased together. Amazon will be the focus of one of our next deep dives. In today’s image-conscious culture, an increased number of (Millennial and Generation Z) consumers are making purchasing decisions based on images they see on their social media feed. In fact, 75 percent of Instagram users take action, such as visiting a website or store location, after viewing a brand’s post. 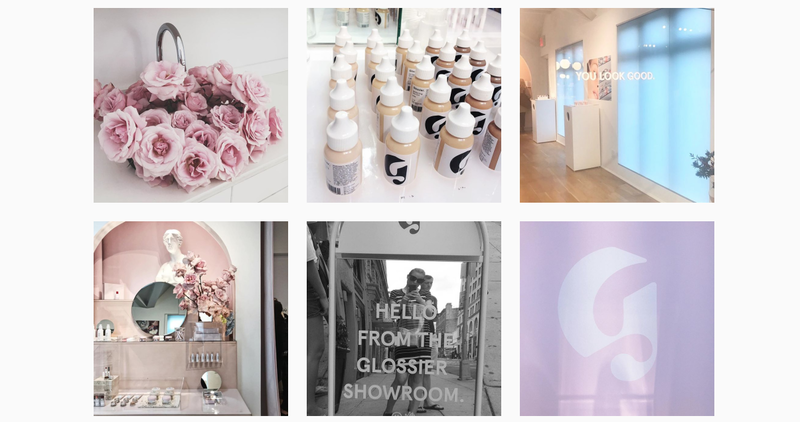 With Instagram becoming a core element of retailers’ marketing strategies, modern brick-and-mortar stores are now designed to encourage in-store photos and get shoppers to share their experience beyond the (now standard) changing-room selfie. By making their store a ‘must-visit destination’ and creating a visually appealing environment customers want to share on Instagram, luxury retailers hope to leverage the social platform’s 800 million+ active users to draw people to their store and build brand awareness. 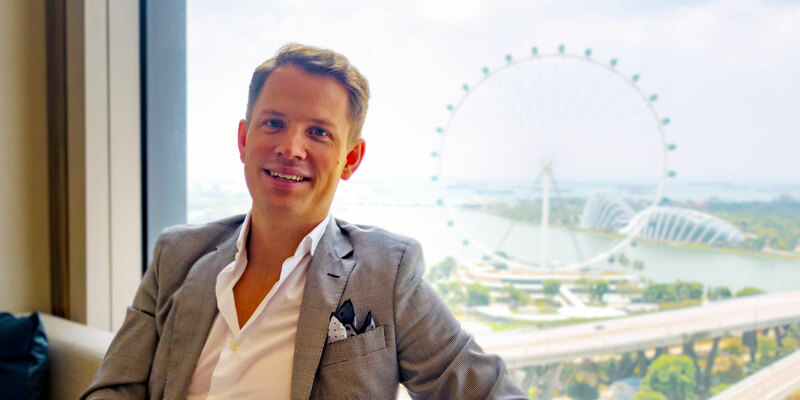 Making life moments “Instagrammable” affairs that are visually appealing and experience-led is a popular trend among young affluent consumers across various industries, from fashion to fine dining. In this new context, making your luxury retail store picture-perfect (and thus share-worthy) is a smart investment. Encouraging customers to post photos of a retailer’s space can increase its brand awareness and foot traffic, drive more sales, and last but not least provide quality user-generated content that can be repurposed in future marketing activities. 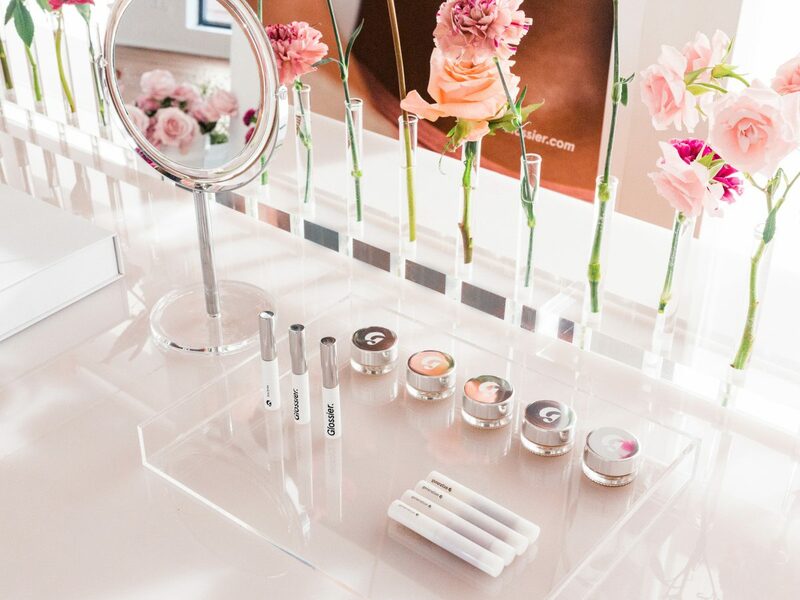 From a makeup blog (dubbed Into The Gloss) to eCommerce brand, digitally native skincare and beauty brand Glossier owes much of its success to social media and millennial-friendly branding. 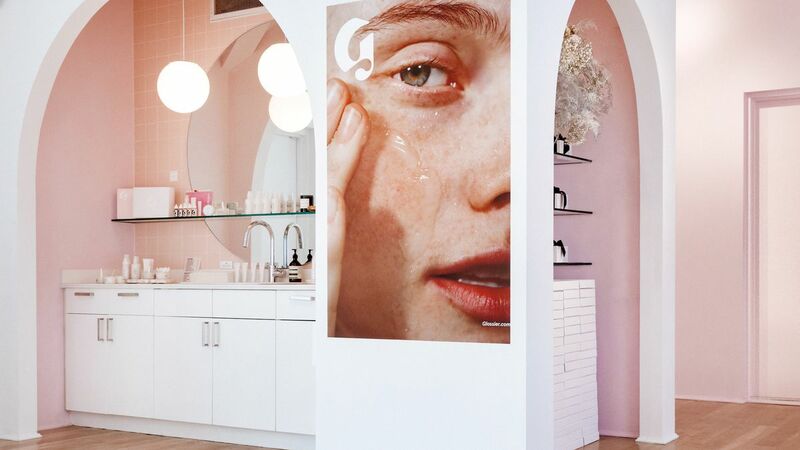 After building a cult following through online and social media platforms, experimenting with successful pop-up shops and multi-sensory installations, Glossier has opened its first permanent showroom in 2016. 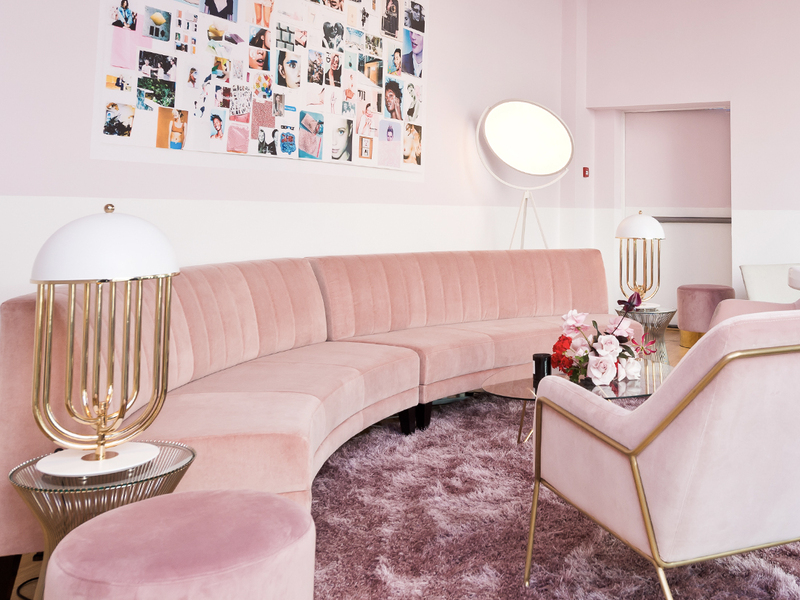 The Glossier chic showroom mimics Glossier’s rose-tinted website and is as artfully curated as its social media feed, each corner worthy of an Instagram post. Similarly, online-native, direct-to-consumer eyewear brand Warby Parker offers unique experiences and has included in-store Instagrammable properties (such as its ‘Green Room’ where anyone can shoot 15-second films on a variety of entertaining backdrops), encouraging consumers to share their shopping experience on their social media channels. 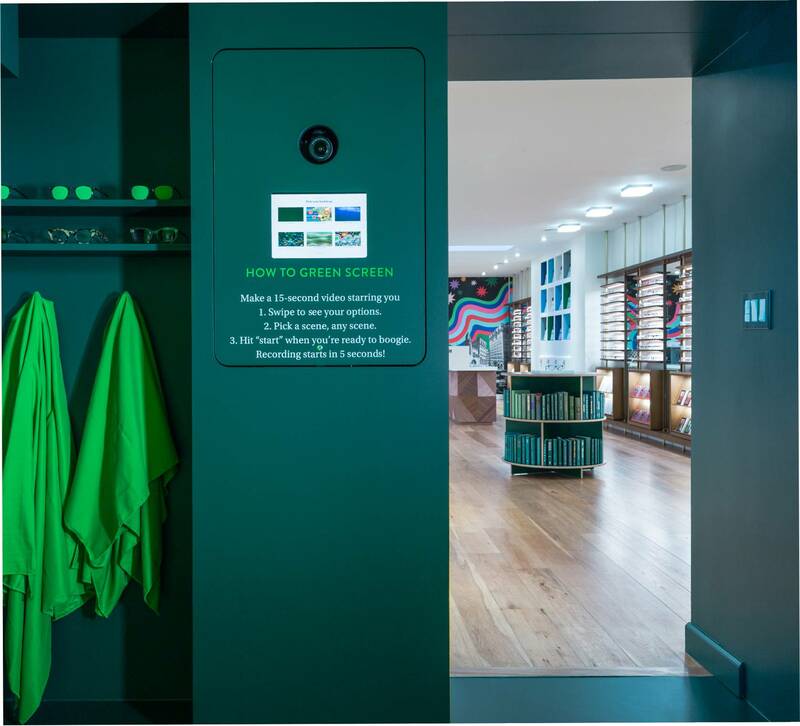 Many digital-first brands are treating their stores as showrooms (or guide shops) for consumers to experience the products. 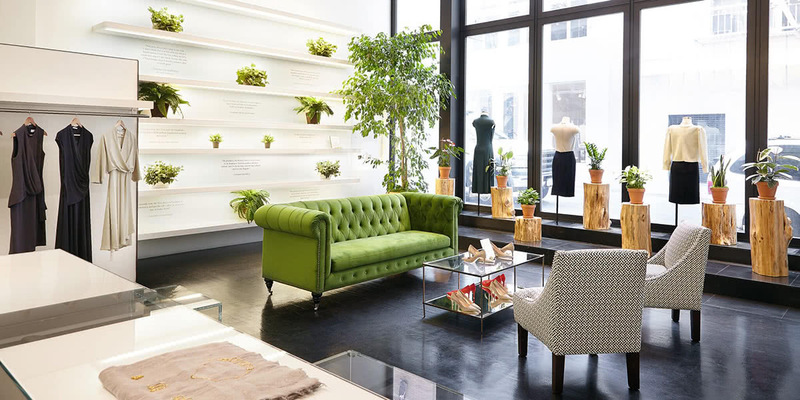 From MM.LaFleur that awaits professional women with custom-curated pieces by a personal stylist, to Restoration Hardware that let shoppers lounge in its luxurious furnishings. But in contrast with more traditional brick-and-mortar model, many do not keep any inventory in-store. Just like with their corresponding eCommerce sites, purchases are delivered to customers afterwards. The future of retail is omnichannel. Digital-first brands are disrupting traditional retail to offer experience-led shopping that meets consumers’ increasingly demanding expectations. Digital and physical channels will continue to converge as consumers expect authentic brand experiences that allow them to move seamlessly between eCommerce and brick-and-mortar shopping. After all, the customer experience is the sum of all interactions with your luxury brand… regardless of whether the customer is online or offline. How Online Brands Are Winning In The Offline World by Veronika Sonsev, Forbes, October 12, 2017. Why e-commerce brands are flipping the script and opening brick-and-mortar stores by Ilyse Liffreing, Digiday, September 5, 2017. How Online Retailers Are Creating Immersive Brand Experiences In The Real World by Ana Andjelic, AdAge, March 25, 2015. Are E-Commerce Sellers Better At Traditional Retail Than Store-First Brands? by Chad Rubin, skubana.com, August 29, 2017. When online goes offline: how big eCommerce retailers design their offline shops and what we can learn from it by Julia (Goesch) Bartel, capgemini.com, August 25, 2016. Which Retailers Are Closing Stores in 2017 by Evan Clark, wwd.com, December 11, 2017. To Save Retail, Let It Die by Doug Stephens, Retail Prophet. Luxury Goods Worldwide Market Study by Claudia D’Arpizio and Federica Levato, Bain & Company, October 2017. Death of Pureplay Retail L2 Intelligence Report, January 12, 2016. 23+ Useful Instagram Statistics for Social Media Marketers by Rob Mathison, Hootsuite, January 24, 2018. Do Digital Brands Need Physical Stores? by Chantal Fernandez, The Business Of Fashion, January 18, 2017. Cover credit: MM.LaFleur San Francisco Pop-Up Store.